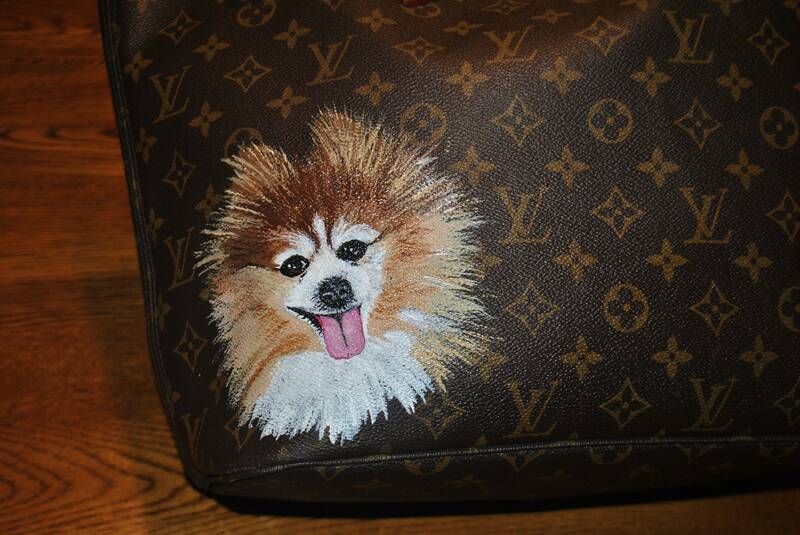 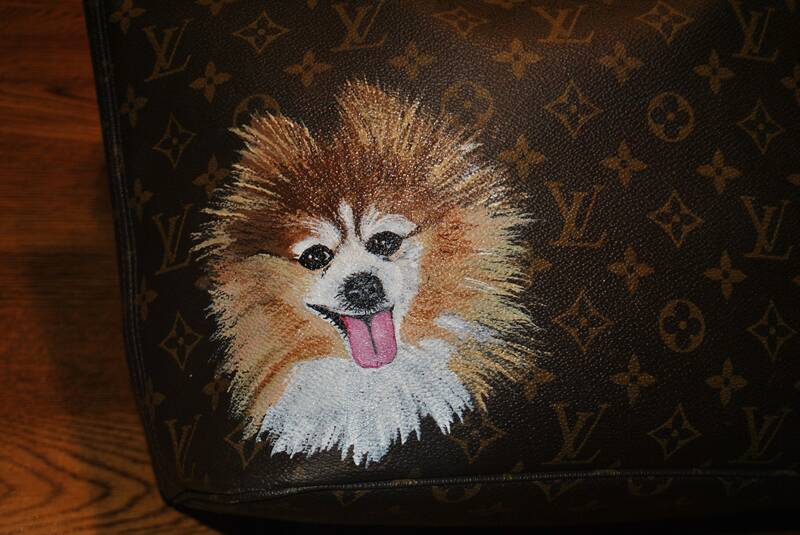 Custom Do your Lovely Doggie on LV Bag... sorry sold customer provided the bag. 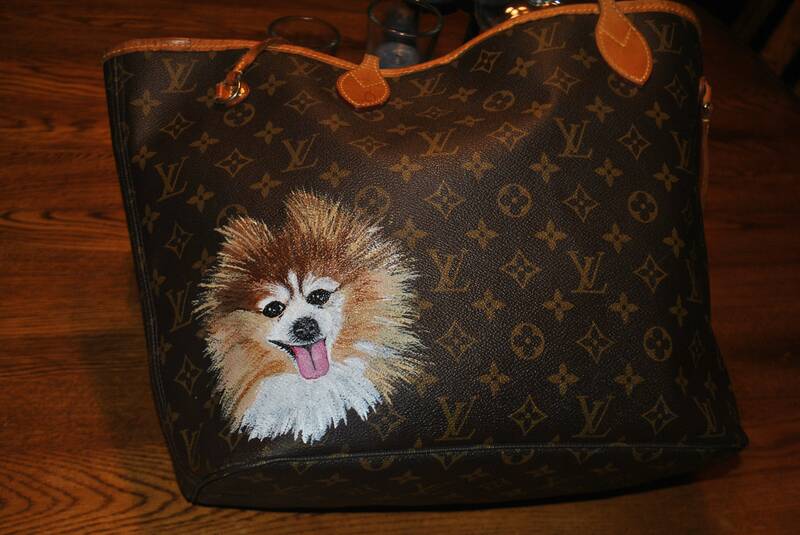 sorry, this bag was provided by the customer if you have a handbag that you would like your pet painted on it. 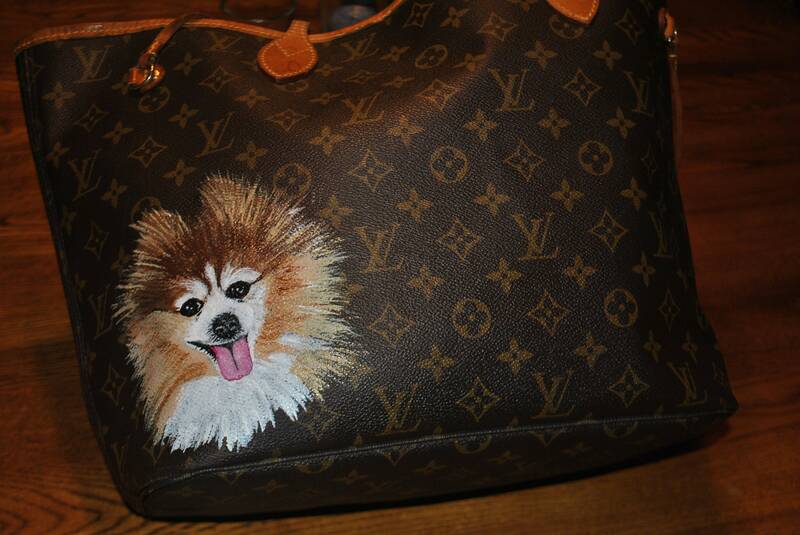 email me a pic of your wonderful family member and we can discuss lead time and costs.